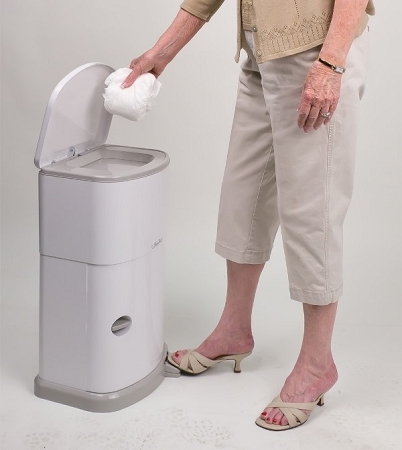 Janibell Akord Adult Incontinence Disposal System makes disposing of adult-sized briefs, pads, wipes and other items as simple as "step and drop". 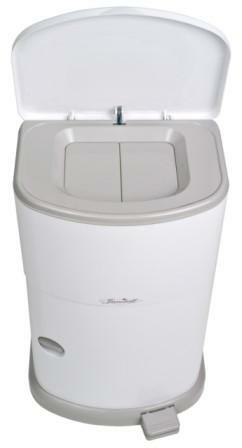 Hands-free adult diaper pail system ideal for home or facility use. 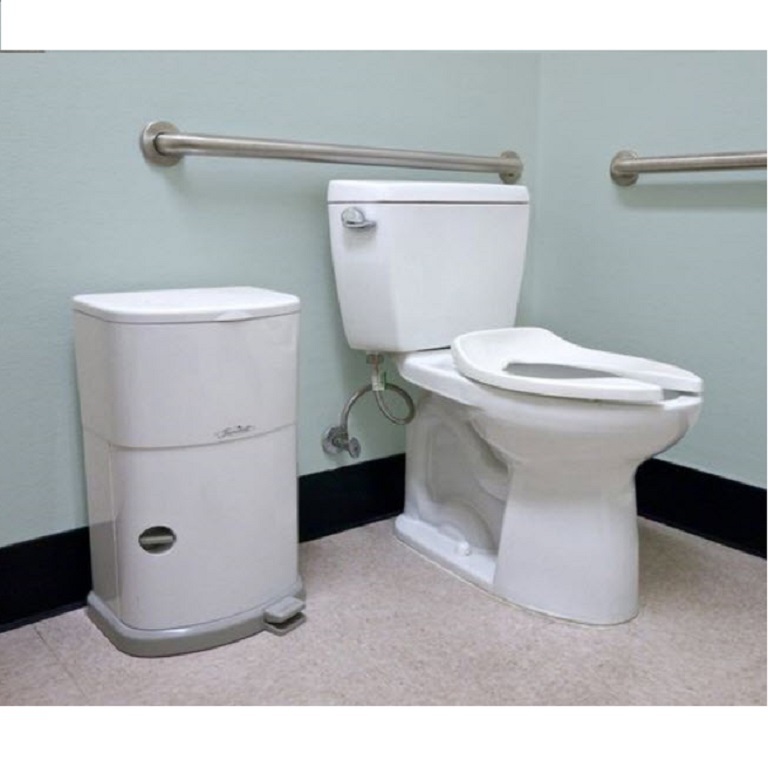 The Janibell Akord Adult Incontinence Disposal System is a containment system with pedal-operated lid and extra-large opening to accommodate adult-sized diapers. 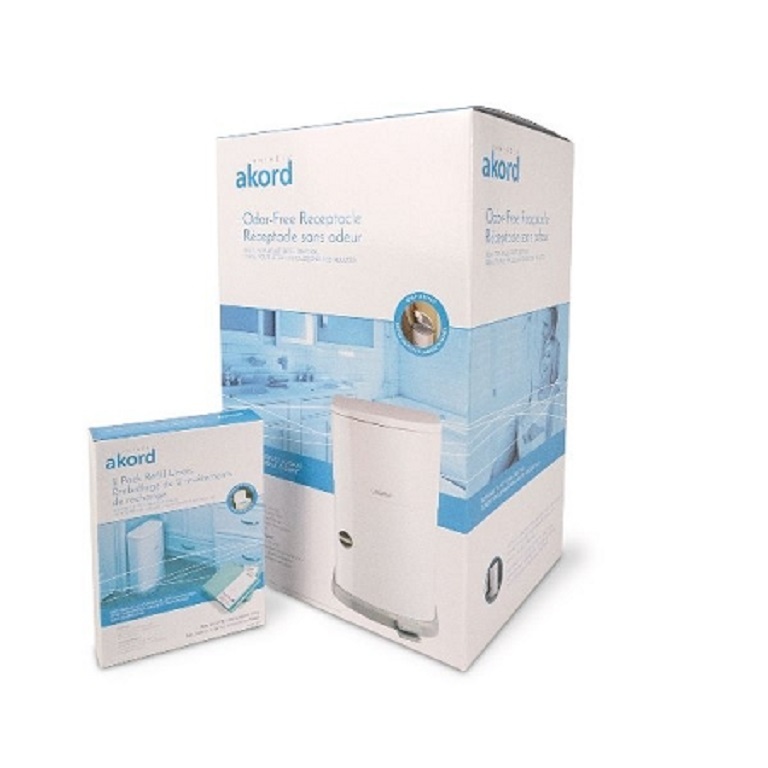 Caregivers will find the Akord system is easy to use, hygienic and will keeps homes smelling fresh and clean. The Janibell Akord Adult Incontinence Disposal System is discreet, odor-free, and allows caregivers to dispose of soiled briefs hands-free. The advanced double-sealing design locks in odors and makes disposing of adult size briefs, pads and other incontinence items both simple and hygienic. 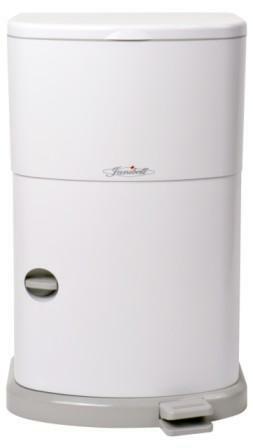 Just step on the ergonomic pedal to pop open the lid, then drop the refuse into the canister's extra-wide opening. The cost effective continuous refill liners are simple to cut and tie off no matter when the user chooses to empty the pail. The unit can easily be emptied before it is full, without wasting an entire bag. 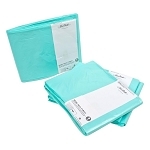 The 11 gallon Janibell Akord can hold up to 35 large adult briefs, and each liner roll will hold up to 560 large adult diapers. The non-porous, durable ABS container comes with a liner pre-installed for immediate use.